Additional Details This item comes with Raymond Lee Jewelers Presentation box and 1 year warranty! 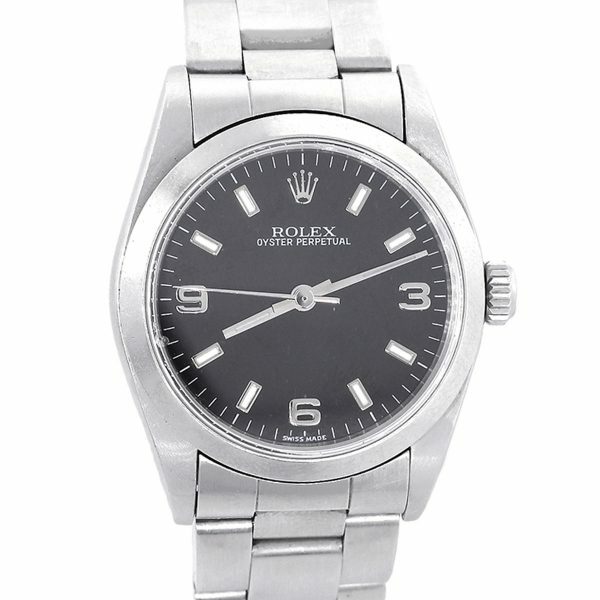 Categories: Oyster Perpetual, Rolex, Watch Brands. Tags: 77080, Black Dial, Oyster Perpetual, Rolex, Stainless Steel, Watch.